Ideal for family holidays: Playa de Los Pocillos holidays are just a short hop from the airport, so children won’t be bored by long transfer times. Playa de Los Pocillos 2019 also offers much quieter holidays than its neighbouring holidays in Puerto del Carmen, ensuring a good night’s sleep for your family. Beach holidays: The dusky golden beach here is long and wide, with ample space for your sunbathing during your holidays in Playa de los Pocillos. The water stays flat and calm here, much like the landscape. Plus the promenade has a nice selection of beach bars and cafes perfect for chilled-out holidays enjoying the relaxed atmosphere. Rancho Texas Park: A fun day out for family holidays if you fancy a break from the beach. This Wild West themed zoo has many exotic animals to see, such as tigers, crocodiles, parrots, and sea lions. The themed environments include gold mines and cactus parks, plus at night you can see a special Country & Western entertainment show. Playa de Los Pocillos: The main reason Playa de Los Pocillos is now rather built-up is for the wonderful beach holidays here. Playa de Los Pocillos Beach is a very flat and open expanse of dark golden sand, and as such you’ll often enjoy a fresh, cooling breeze here too. Luckily, the water stays pretty calm and the waves never get too high, so swimming in it is always an option. Restaurante China: As the name suggests, this is an authentic Chinese restaurant serving all the favourites you love from takeaways back home. Enjoy heaps of Sweet and Sour Chicken, Prawn Balls or Beef in Black Bean Sauce, all served with fresh Egg Fried Rice and Prawn Crackers. 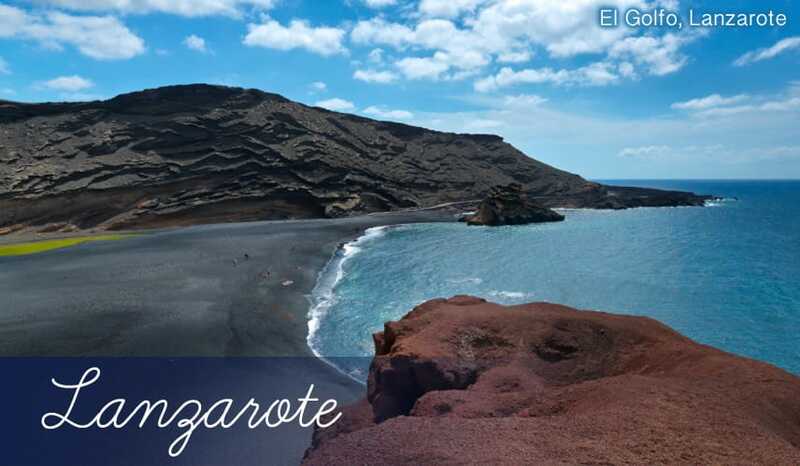 There’s an all-you-can-eat buffet and set menus ensuring great value for those looking to keep the budget low on cheap holidays to Lanzarote. Offshore Cafe and Grill: This nice little bar/restaurant serves an eclectic range of dishes, including classics like steak and chips or cheese and tomato pizza. Be sure to check out their extensive cocktail menu too. Quiet holidays: There are only a few bars in Playa de Los Pocillos, but that’s more than enough for a lovely evening out on family holidays here. You’ll come across two Irish themed bars, The Rose of Claire and Bally Bricken, both of which have a friendly atmosphere and a good choice of beers. Then you’ve got the British pub The Anchor and the unusually titled Mucky Duck II - a live entertainment bar.